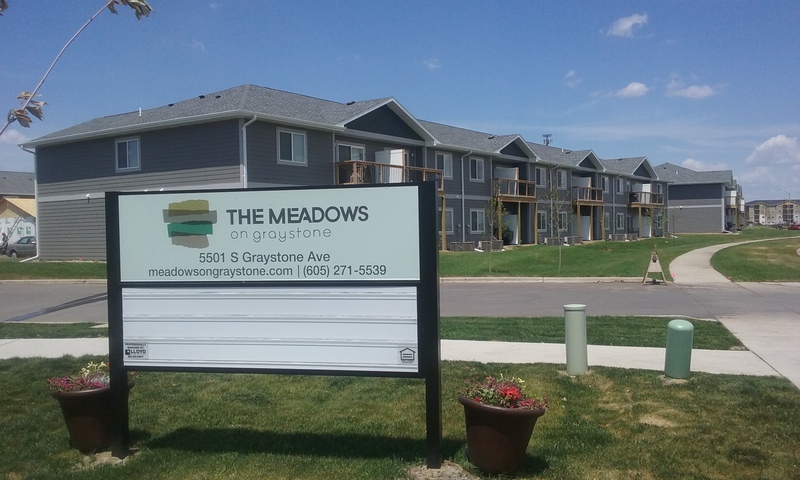 Meadows at Graystone is an apartment project located along South Graystone Avenue between 57th Street and 69th Street in southeastern Sioux Falls. The project site is adjacent to a new elementary school in the Harrisburg School District. The townhomes offer amenities that include a private entrance, patio, washer/dryer in unit, dog park, and a natural pond setting.